Lack of a second prediction suggests insufficient evidence to draw any other conclusion. 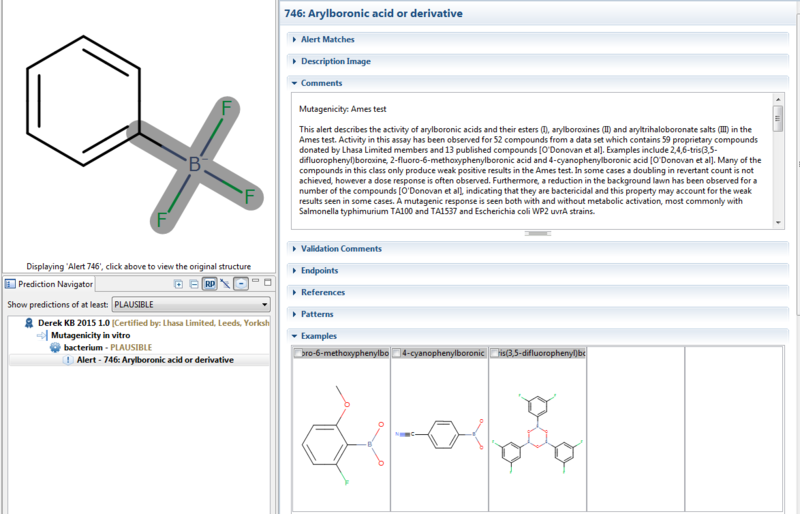 Derek Nexus – Positive (plausible) prediction based on alert 746: Arylboronic acid or derivative. Sarah Nexus – Outside Domain prediction. Derek gives a plausible prediction. The comments explain that a trihaloborate salt in the data set gives a positive response and so it is reasonable to assume a trifluoroborate could have a positive outcome. 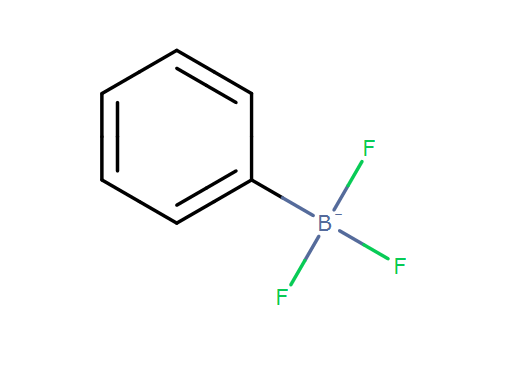 The trifluoroborate group is outside the training set domain so no prediction is given. Positive – Derek Nexus made a confident positive prediction and Sarah Nexus an outside domain prediction. The alert that has fired in Derek Nexus has a clear rationale and strong supporting evidence. There is no evidence in Sarah that supports the overturning of the Derek prediction.